In international media coverage of North Korea, its nuclear programme and the country’s extreme form of leader worship often dominate. Less remarked on are the economic changes being seen in the country – and the political effects they are having. Despite years of economic crisis, the country’s leadership has so far managed to weather the storms. Nevertheless, key changes in North Koreans’ daily lives are leading analysts to wonder how long the leaders in Pyongyang will be able to keep power in one of the world’s remaining nominally socialist economies. “There was activity everywhere, on streets, under the bridges, from the windows of apartments,” he said. 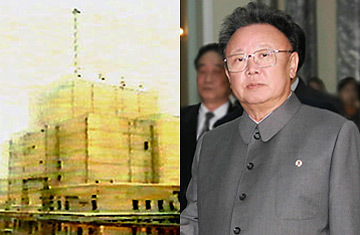 Analysts agree that the North Korean state responded to this change in various ways. Some attempts were made to capitalise from it, such as an amendment to the constitution in 1998, pledging to guarantee the proceeds from some types of private economic activity. In July 2002, the government also unveiled a series of measures bringing prices and wages closer to black-market levels, and introducing additional material incentives and autonomy for industrial workers and managers. 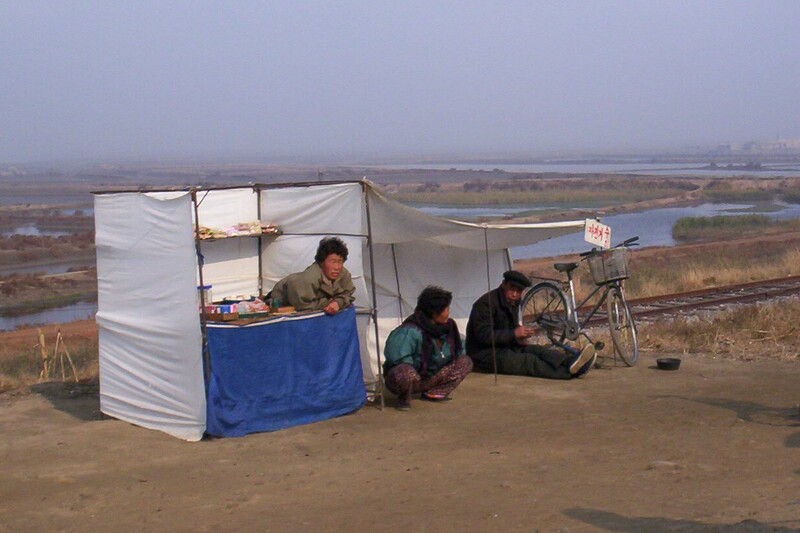 In areas designated “special economic zones”, North Korea now invites foreign investors – mainly South Korean – to take advantage of cheap North Korean labour. SEOUL, August 26 (Itar-Tass) – North Korea announced a decision to suspend disabling its nuclear facilities over the violation by the United States of the understandings, reached at the six-party talks on denuclearising the Korean Peninsula, says a statement by the North Korean Foreign Ministry, circulated by the KCNA news agency on Tuesday. BBC News has also reported that work was suspended on 14 August, a foreign ministry spokesman told the state news agency KCNA. North Korea says it took the step because the US failed to remove it from a list of state sponsors of terrorism. But the US says it wants to agree more stringent verification processes before it does so. North Korea finally submitted a long-delayed account of its nuclear facilities to the six-party talks in June – and was expecting to be removed from the US list of terrorism sponsors in return. But that move has been delayed amid wrangling among the six parties – North and South Korea, the US, China, Russia and Japan – over how to verify the North’s declaration. The North has also threatened to restore facilities at its main Yongbyon plant – where the main cooling tower was spectacularly demolished in late June in a symbol of Pyongyang’s commitment to disarmament. Last month, when US State Department decided to remove the DPRK from its list of terrorism-sponsoring states, we knew that the Congress had time until August 10 to enact a joint resolution that would block this from happening. No action was necessary to allow it to pass, and as of August 11, 2008, Secretary of State Rice would have completed the rescission. Obviously, something went wrong (see the list of State Sponsors of Terrorism here) and North Korea learned about it immediately. Hence, the work on disabling the nuclear facilities was suspended on 14 August. But why did North Korea make this statement only today, 26 August? It’s logical to presume that the last two weeks were marked by the military confrontation in the Caucasus, an event too dramatic for the world to notice a minor development (or the lack of such) where North Korea remains in the list of rogue states. Today, when the world is again deeply in the sate of Cold War, characterized by the return of ideological bi-polarity, North Korea’s statement sounds dramatic and threatening enough. In the minds of Pyongyang strategists this confrontation has never ended. But now, when Moscow and Washington again look at each other through the screens of anti-missile radars, North Korea knows that it is not alone. The old “zero-sum game” continues with new fervor. Apparently, “substantive talks” on verification between the two sides still continue. What else can be verified? Do North Koreans really have any undeclared secrets that make Americans so nervous that they break their promise easily? Only time will show. Surely, to “suspend” the disabling of its nuclear facilities is one thing, but to “reverse” this process is completely different. For the time being, Pyongyang can continue blackmailing Washington with a mere “suspension”, while hinting at further possible steps in this direction as a deterrence. Had North Koreans have some undisclosed nuclear programs, they could reactivate them very soon to start the game all over again. Had they not (meaning that they have been bluffing to squeez economic assistance from the West), they certainly need to develop one, simply to keep the stakes high. In any case, the positive dynamic of the previous 18 months (since February 2007) is now history, and mutual trust is broken. The adopted principle of “action for action” now works against the common interest, quickly being reduced to “an eye for an eye”. Hopefully, the world will not become blind in the process, as Mahatma Gandhi once warned us. Пхеньян обвинил вчера США в нарушении договоренностей по свертыванию северокорейской ядерной программы и объявил о том, что не только приостанавливает мероприятия по выводу из строя своих ядерных объектов, но и рассмотрит вопрос о восстановлении уже разрушенного оборудования. На этот шаг северокорейское руководство вдохновили действия России на Кавказе, поставившие Москву на грань конфронтации с Западом. В распространенном вчера заявлении северокорейского агентства ЦТАК говорится, что с 14 августа КНДР приостановила процесс денуклеаризации, оговоренный в соглашении, достигнутом 3 октября 2007 года на шестисторонних переговорах по северокорейской ядерной программе в Пекине. Кроме того, отмечается в заявлении, северокорейское руководство собирается рассмотреть “вопрос восстановления объектов в Йонбене до их прежнего состояния”. Between 1959 and 1984, these few were among the 93,340 people who migrated from Japan to North Korea in search of a new and better life. There were several particularly ironic features of this migration. First, it took place precisely at the time of Japan’s “economic miracle”. Secondly, although it was described as a “repatriation”, almost all those who “returned” to North Korea originally came from the south of the Korean peninsula, and many had been born and lived all their lives in Japan. Third, the glowing images of life which tempted them to Kim Il Sung’s “worker’s paradise” came, not just from the North Korean propaganda machine but from the Japanese mainstream media, supported and encouraged by politicians including key members of Japan’s ruling Liberal Democratic Party. After decades in North Korea, around one hundred migrants have now escaped the harsh realities of life there, and made the perilous return journey back to Japan. Other survivors of the same project who managed to escape have settled in South Korea. The story of their migration has been almost entirely unheard by the rest of the world. But it urgently needs to be heard, not least because it involves an injustice that resulted in the deaths of thousands of people, and is still causing the deaths and untold suffering today. The history of this migration also reveals the complexity of postwar Japan’s connections with North Korea: and without understanding this, it is impossible fully to understand the impasse which their relations have now reached. As secret documents from the Cold War era are declassified and testimony from survivors emerges, the true story of this mass movement is now starting to emerge for the first time. 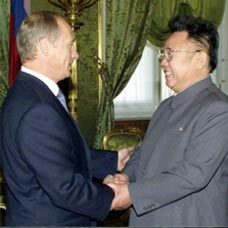 We now know that it was the product of a deliberate policy, very carefully designed and implemented at the height of the Cold War by the North Korean and Japanese governments often working in concert, and supported in various ways by the Soviet Union, the United States and the International Red Cross movement. It is a history that sheds important light on the complex background to Northeast Asia’s contemporary conflicts. It also evokes chilling echoes of other coerced or manipulated migrations, including the repatriation of Eastern Europeans to the Soviet Union and other Communist countries in the immediate post-war era.